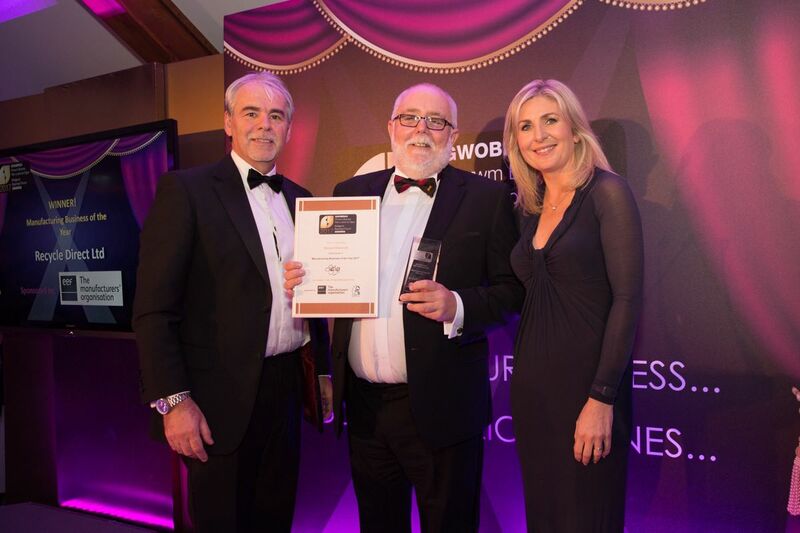 On Friday 29th September 2017, Recycle Direct were awarded Manufacturer of the year at the Bridgend Business Forum Awards, at the Coed-Y-Mwstwr Hotel. The night was presented by Sian Lloyd, BBC TV Presenter, with speeches from Ian Jessop, Chair of the Bridgend Business Forum and Carwyn Jones AM, First Minister of Wales. After receiving the award Nigel Davies, Managing Director of Recycle Direct stated: "I feel the success of the company is down to the hard work of all the staff and the continued belief we're one of the best, not just within Bridgend, but in the UK". Recycle Direct is a full engineering service provider for the recycling industry. As a business they provide new, used and refurbished recycling machinery. Their business provides ISO quality certified spare parts and they pride themselves on providing all this with a first class service. Recycle Direct was formed 17 years ago by two former Lindemann Service engineers with the idea to provide reliable, fast, inexpensive spares and service for customers. Recycle Direct has grown considerably since its inception and is still owned and run by the same family. Recycle Direct are still the largest independent company specialising in spares and service for Lindemann machinery in the world. Reflecting on the success of Recycle Direct's business growth Nigel Davies added: "Old-fashioned family values form the biggest part of our business ethics. We firmly believe that we are only as good as our last job".